Yuasa is one of the world’s leading producers of Lead-Acid and Lithium-ion batteries in automobiles. The company is also recognised as a principle sponsor of the Honda Yuasa Racing team in the British Touring Car Championship and the HRC Repsol Honda MotoGP team. With sales and distribution centres across Europe, it is the continent’s leading battery supplier. A multilingual website was thus essential for Yuasa to cement its market position and international client base. Yuasa already boasted a significant European presence. It has distribution centres Duesseldorf, Lyon, Milan and Madrid, and a UK manufacturing facility in Ebbw Vale. Increasing demand from the mainland enforced the need for Yuasa to make a bold step and target international customers. The project required translations from English into French, Spanish, German and Italian. In doing so, it sought not only to enforce itself as a market leader but also as a resource for both shoppers and industry professionals. One of Yuasa’s dominant website features is its online battery lookup tool that boasts over 75,000 monthly users. It includes the thousands of batteries supplied by Yuasa, including descriptions and technical specifications. This meant that we needed to appoint our finest technical translators and localisation experts. Yuasa goal with the website redevelopment was to transform it from a battery lookup tool to a detailed information resource. Translated content had to be accurate and engaging. Thus linguistic talent, technical know-how and diligent project management were all essential. The website now provides an informative resource for costumers, distributors, industry professional and retailers. 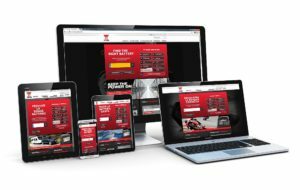 Andrew Taylor, MD of Yuasa Battery Sales UK, said that the idea of the new site was for people to immerse themselves in the company’s story, not just to seek out a new car battery. It has done this providing exclusive content from its motorsport sponsorship. Yuasa has made significant progress in recent years, and with the translated website we expect Yuasa to see a significant boost in international sales. Online costumers shop with confidence when browsing in their language. That is all the more so when so much depends on the technical detail. Click here to read more on the Yuasa website.